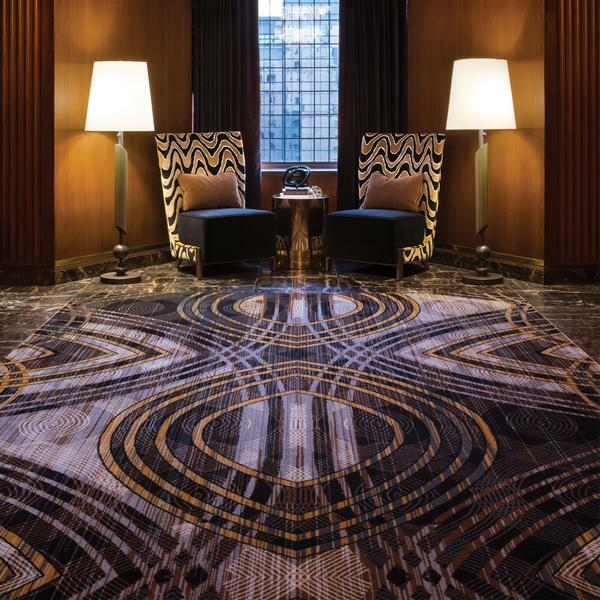 Brintons collaborated with CHIL Interior Design on approximately 5,900 square yards of custom axminster carpets for the Fairmont Hotel Vancouver. 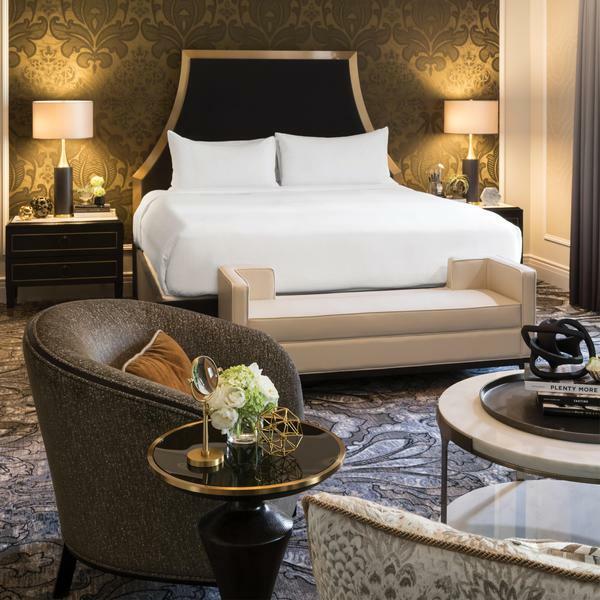 The multi-phased Fairmont Hotel Vancouver renovations, recently completed in Spring 2018, began four years prior with the lofty goal of introducing contemporary luxury while holding onto the property’s rich heritage. Teetering the line between nostalgia and present day desires, CHIL Design perfectly executed the restoration of the Fairmont Hotel Vancouver, paying close attention to its undoubtedly English roots. In 1939, at the hotel’s Grand Opening, King George VI and Queen Elizabeth famously visited the city and stayed at the property, which is commonly referred to as ‘The Castle in the City’. In celebration of the Royal Visit, CHIL design worked opulent details into the interior’s patterns and materials, focusing on high-end finishes like custom wool-rich floorcoverings. Brintons axminster carpets flood the hotel’s suites, corridors, and public spaces bringing a lavish warmth to the interior. 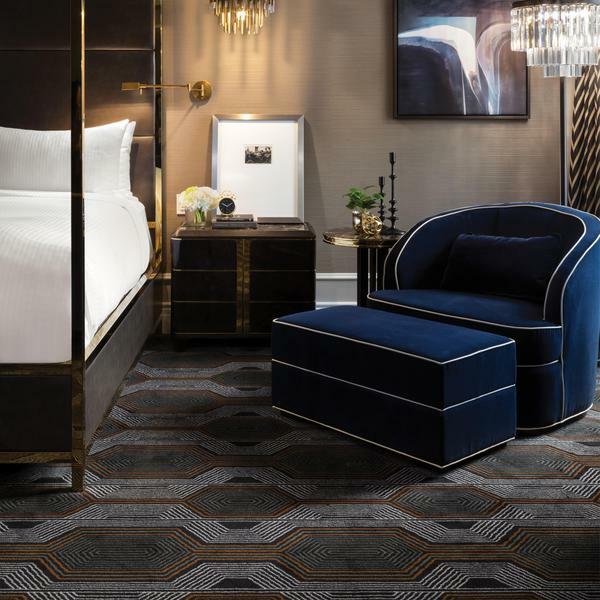 In the Heritage Suites on the fourteenth floor, the hotel’s keystone in terms of its character, an extravagant and royal air resonates through the bespoke flooring. Classic regal tones in the in-laid rugs harmonize with the warmth of the new marble and restored African Spele wood paneling in the elevator lobbies. Simple art-deco geometrics course through parlours and bedrooms beckoning the true concept of entertaining. On the Royal Suite floor, a shimmering contemporary damask echoes a gold accent wall leaving the guest swimming in sumptuous surroundings. Our challenge on this project was to provide a distinct and classically contemporary look while respecting the heritage of this very important property. We often begin by looking at the carpet design in the beginning to set the tone especially for this project where we knew that creating the right look and feel was so crucial. Brintons is always our go-to because they provide such a vast array of designs as well as great service. They are always so responsive and worked to a very tight deadline with us and helped create the right level of luxury and design we were striving for. We are incredibly happy and excited about the final results which are rich, opulent, layered and bespoke carpets reflecting the design values and expectations for this exclusive hotel.